So I had started another blog focusing on children but have found that one of my blogs always gets ignored so I will be slowly combining the two and expanding the content area of this blog. I always have a million ideas for posts and they are not always skin care centered, but they are always naturally focused. I will still be posting tons of skin care tips, tricks, and DIY’s but there is just so much more that I am passionate about and want to share with ya’ll! It is time for summer fun and you know what that means; outdoors, fresh air, water, and sun, lots and lots of sun! But choosing what products to use on your little ones skin can be difficult. So many products out there nowadays are packed with harmful chemicals. So here is a list of products that are safe and natural for your little ones. Badger Sunscreens are my absolute favorite. They have daily sunscreens with minimal whitening effect and thick sunscreens for swimming or working/being outside all day. They use non-nano, uncoated zinc oxide as theif SPF. Miessence, now this a product you can feel good about putting on your kids. They are an Australian based company with food grade certified organic skin care products. That is some seriously riggorus testing to be certified organic. This is a lower SPF though at 15 (others tested it at 29.5) 2 Moms Natural Skin Care is now carrying Miessence products! So how about those days playing in the park, hiking and camping in the woods? You’ll want something to repell all those nasty bugs like mosquitos and ticks but without all those harsh bug repelling chemicals. Here’s what I would recommend. Warning: Many of these products contain essential oils, certain essential oils can interefere with some medicine and medical conditions please consult with a qualified person before using. Lafes Organic Baby Insect Repellent– I use this all the time and love it. It is USDA certified organic so you can feel safe putting it on you kids. Loving Naturals Insect Repellent Spray– This is great just like their sunscreen it is also Vegan! Badger Anti-Bug Shake & Spray- This is another one of my favorites, it lasts for a while and is super safe. Buzz Free Zone Personal Spray- This is another Miessence product that I absolutely love and have no qualms about using it on my babies! 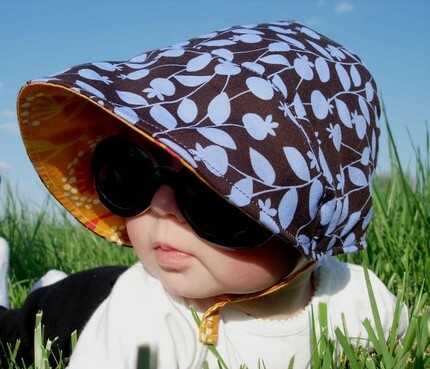 Another great thing for the sun is a baby bonnet or hats. I absolutely love UB2 Urban Baby Bonnets. They have styles for both boys and girls and some are even organic. You also might want to invest in a washable swim diaper. I love the ones from Apple Cheecks Cloth Diapers. 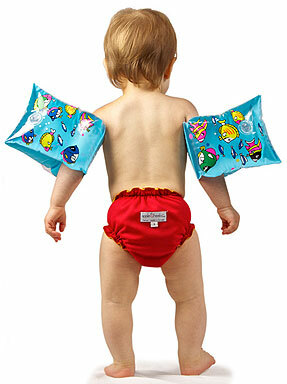 Sweet Bottoms Baby has a great selection of cloth swim diapers to choose from. This entry was posted in Kids and tagged baby, children, kids, natural, skin care, summer, sun.